We believe that God in His great goodness has revealed all that is necessary to life and salvation in the Bible, which consists of the 66 books of the Old and New Testament alone. Every word, as originally written, was inspired by God through human authors, and so the Bible is, in its entirety, the Word of God, without error and fully reliable in fact and doctrine. The Bible alone speaks with final authority and is always sufficient for all matters of belief and practice. We believe that there is one and only one living and true God. He is an intelligent, spiritual and personal Being, the Creator, Redeemer, Preserver, and Ruler of the universe. God is infinite in holiness and all other perfections. To Him we owe the highest love, reverence, and obedience. The eternal God reveals Himself to us as Father, Son and Holy Spirit, with distinct personal attributes, but without division of nature, essence, or being. Each of these Persons possesses the entire divine essence undivided, and therefore the perfections that belong to God belong to each of the three Persons. The three Persons are present and active in all the works of God so that God’s works of Creation, Providence and Redemption can be said to be from the Father, through the Son and by the Holy Spirit. God the Father – We believe that God as Father reigns with providential care over His universe, His creatures, and human history according to the purposes of His grace. He is all powerful, all loving, and all wise. He is sovereign, gracious, righteous, just, longsuffering and merciful. God is Father in truth to those who become children of God through faith in Jesus Christ. God the Son – We believe that the Lord Jesus Christ is the eternal Son of God made man; fully God and fully man, having two natures but one Person. He was conceived by the Holy Spirit and born of the virgin Mary. He was without sin and lived a perfectly sinless life in obedience to the Father. He taught with authority and all His words are true. On the cross He died as a propitiation, a substitute for His people, bearing God’s punishment for their sin, and accomplishing their full redemption by His blood. Having done all that was needed for their salvation, He rose from the dead and ascended into heaven where He reigns over all things for the sake of the Church and intercedes for His people before the Father. Jesus Christ is the only mediator between God and men and none can be reconciled to God except through faith in Jesus Christ. God the Holy Spirit – We believe that the Holy Spirit inspired men to write the Scriptures, and through illumination He enables man to understand truth. He exalts Christ and He convicts man of sin, of righteousness and of judgement. He calls sinners to the Saviour, and effects regeneration. Having given a new spiritual nature to sinners through the new birth, the Holy Spirit lives in believers teaching, leading and enabling them to become more and more like Christ. He comforts believers and bestows the spiritual gifts with which they serve God through His church. He enlightens and empowers the believer and the church in worship, evangelism and service. He seals the believer unto the day of final redemption. We believe that God created man in His own image, creative, thoughtful, responsible and holy. Man possessed an inner knowledge of the will of God and enjoyed unbroken fellowship with God. However, Adam the first man, the father and representative of the human race rebelled against God. The sentence that was passed on him for his rebellion was passed onto all mankind, his relationship with God was broken, his nature corrupted, his environment spoiled, his body became subject to death and his spirit was in danger of eternal condemnation. Mankind, though still responsible to God is unwilling and unable to submit to God or believe His word. God alone can save man from this dreadful condition. We believe that the salvation, secured by the work of the Lord Jesus Christ, is applied to sinners by the Holy Spirit. By His powerful and mysterious work, dead souls are awakened into spiritual life and given the desire and ability to repent of sin and believe in Christ as their Saviour and Lord. Called to faith by the inner working of the Holy Spirit, sinners are justified by faith alone and adopted into the family of God and made heirs of eternal life. Election and Redemption – We believe that God, in eternity, determined to give eternal life to a certain great number of people. God did not choose these people because they were any better than anyone else, or because of anything they had done or would do, but because of His own purpose and grace. We believe that the Lord Jesus Christ died on the cross to effect atonement, propitiation, reconciliation and redemption for his Elect people. Standing Firm – We believe that it is possible for a true believer to be overcome by temptation and to seriously backslide, but the saving grace of God cannot ultimately be frustrated. However, Christians are to be diligent to make their calling and election sure and to work out their salvation with fear and trembling, knowing that a mark of a true believer is that they stand firm to the end. We believe that Christians in a particular area should join together to form a local church. The local church should meet regularly for worship and prayer, for the preaching of the Word of God and to proclaim the gospel. Each member of the local church is required to give themselves to one another, seeking the well being of other members as opportunities arise. The fellowship should be characterized by humility and brotherly love as members use the gifts God has given them to build one another up in the faith, to spur one another to love and good works, to carry one another’s burdens, and to correct and rebuke one another. We believe that it is the privilege of believers to be able to draw near to God in prayer, and that they should do this in private as well as together in the various meetings of the church. We believe that the pursuit of evangelistic ministry is vital to the life of the local church as well as the fulfillment of our Lord’s commission. Baptism – We believe that Baptism and the Lord’s Supper are the only church ordinances appointed by Jesus Christ in the New Testament. In Baptism a person shows that they have been identified with the Lord Jesus Christ in His death, burial and resurrection, that their sins have been washed away, and that, having come to the end of the old way of life, they are setting out on a new way, following Christ. As Baptism speaks of the beginning of the Christian life it was naturally the first step of obedience for a Christian in the New Testament and preceded entrance into the local church. Baptism is rightly administered by the total immersion of the believer in water in the name of the Father and of the Son and of the Holy Spirit. We believe that this mode alone is scriptural and clearly demonstrates burial and resurrection and washing. The Lord’s Supper – While Baptism is initiatory, the Lord’s Supper is a continuing ordinance, in which believers remember the sacrificial death of our Lord Jesus Christ. When our Lord instituted this supper He broke bread to symbolise His broken body and poured out wine to symbolise His shed blood, instructing His followers to do the same until He returns. As this Supper expresses the unity of the church as one body in Christ, each member should aim to be present. Church Government – We believe that the Lord Jesus Christ is the sole and immediate Head of the Church. He exercises His authority over the Church by His word and by His Spirit. In its business meetings the local church does not seek to merely discover the opinion of the majority of its members, but rather through prayer and fellowship to know the mind of the Lord. We believe that the ascended Lord bestows gifts upon His people for the maintenance of His work on earth, and that the administration of local churches is to be under the care of elders and deacons. Elders are tasked with the spiritual oversight of the church, serving as shepherds. Among the elders there ought to be one or more who are set apart for prayer and the ministry of the Word of God. Deacons are tasked with the practical concerns of the life of the church. Discipline – We believe that members who bring dishonour to God and His church by persisting in the denial of fundamental doctrine or by their ungodly conduct ought to be disciplined. In matters of personal disputes the guidelines that our Lord gave in Matthew 18:15–20 should be followed. All discipline in the church should be exercised with love and patience, and the end in view must always be the repentance and reconciliation of the offender, and the purity and blessing of the church. Unity – We believe that like-minded churches within a geographical area should seek fellowship together. In the Scriptures we find examples of churches conferring with one another in matters of doctrine, discipline, social concern and worldwide evangelism. We believe that the Lord Jesus Christ will return to the earth in glory. His coming will herald the resurrection of the dead and the final judgement. The ungodly will hear the dreadful sentence of the righteous judge that banishes them from His presence for ever and consigns them to everlasting punishment, while the redeemed will be called to take their place in the New Heaven and New Earth and enjoy God’s glory for ever. 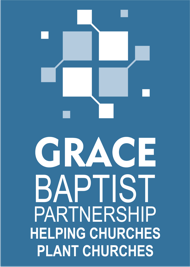 This is a much more detailed treatment of what Grace Baptists believe. They subscribe to this as their subordinate standard, the supreme one being the Bible. The link below will take you to an external site run by GraceNet UK where the complete 1689 Confession can be read together with proof texts.